This April, we say farewell to Melissa Thomasma as our ED. Melissa is stepping down to focus on her family as they are expecting a new addition! Melissa has helped to build a strong foundation for this organization. We couldn't be happier for Melissa as she explores a new journey. Thanks to all of her dedicated work and eloquent writing. We wish her all the best ahead. As Program Director, I've worked to build our public presence and gain public support both within the state and nationwide. I couldn't be more excited for what's to come for this organization and all of our followers. I am excited to take this much needed mission and build support across many different sectors to make a difference for our most vulnerable wildlife. Thank you to all of our supporters who continue to inspire and motivate us to speak for the wolves, bears, and other important Wyoming wildlife. 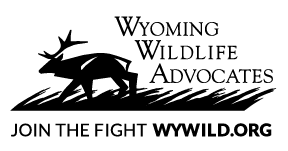 March was an extremely busy month at Wyoming Wildlife Advocates. We presented at the Jackson Hole Wildlife Symposium, attended and networked at Sedona Wolf Week, promoted Wyoming wolves at the Wild for Wyoming's Wolves Rendezvous at the Jackson Whole Grocer, discussed deeper education goals with other local conservation non-profits at a collaborative workshop, and continued to educate the public about Wyoming's need for wildlife management reform. Looking back, we are proud to have been a part in these activities and are looking forward to a very productive year ahead. Glad you have chosen to join us on this expedition into uncharted territory! 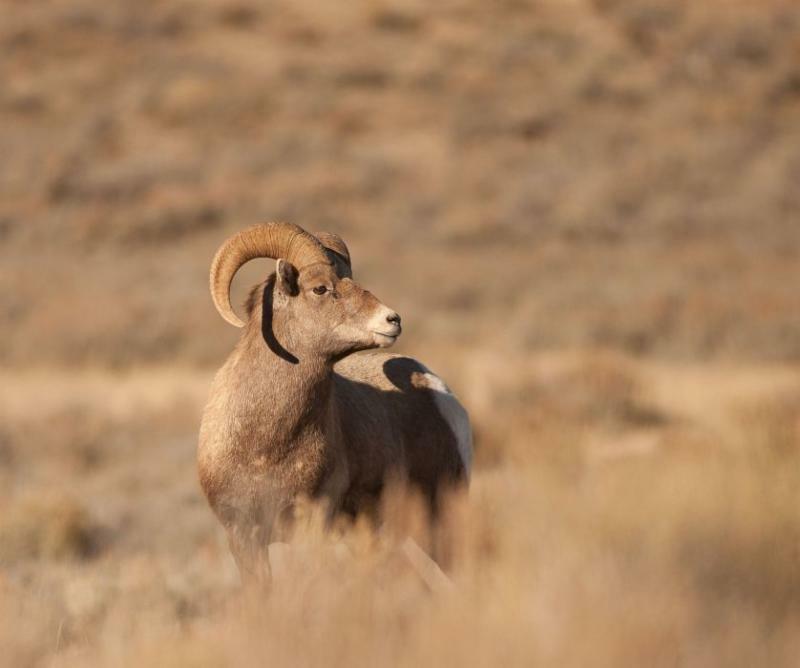 I look forward to connecting with all of you as we march toward a better Wyoming for all wildlife. APRIL 16 IS WWA DAY AT PEARL STREET BAGELS! WWA has been chosen as the featured non-profit at Pearl Street Bagels on April 16. Stop by either location where 10% of all sales will be donated to WWA. We will have brochures, wildlife guides, and stickers to give away. A special thank you to Pearl Street Bagels for their support of our community! 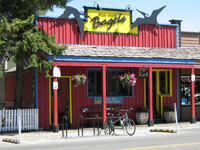 Grab a bagel and delicious cup of coffee and help protect wildlife in Wyoming! Are you looking to develop skills and experience in the world of conservation? 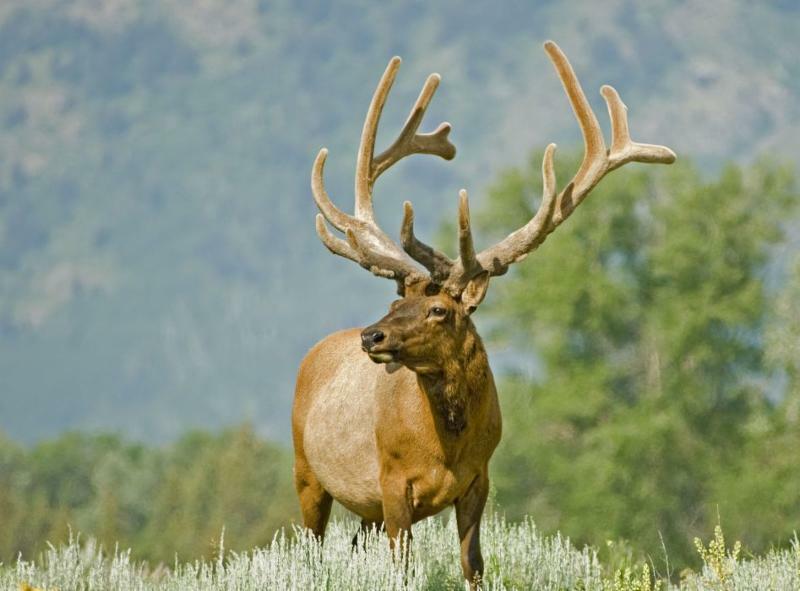 Want to work with a dynamic, creative and energetic team to protect Wyoming's wildlife? High school and college students are welcome to apply. Please send an email to kristin@wyowild.org for more information about the opportunity and process. WWA will be at the 2019 Youth Career Expo at the Jackson Hole High School on April 17 from 1:50 to 4:00 pm. If you are interested in learning more about wildlife advocacy and non-profit work, please stop by our booth. This is your chance to get out there and help prevent bear conflicts. We will be working with Farmstead Cider to harvest fruit from residences in town to deter bears from entering the town of Jackson. 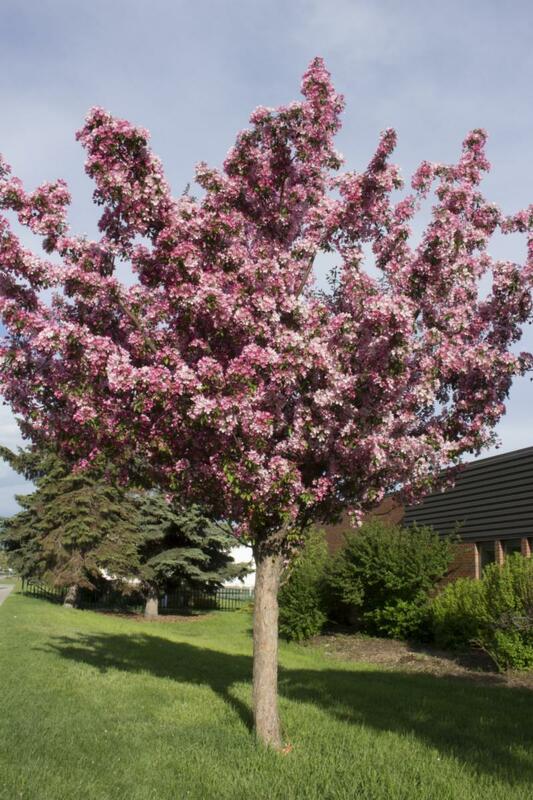 We need volunteers to map the location of crabapple, apple trees, and berry patches, and to harvest fruit, and contact residents to be a part of this effort. The more we can deter bears from entering town, the safer bears and people will be. All harvested fruit will be turned into cider for human consumption or composted. If you are interested in helping, please send an email to Kristin at kristin@wyowild.org or call 307-413-4116. 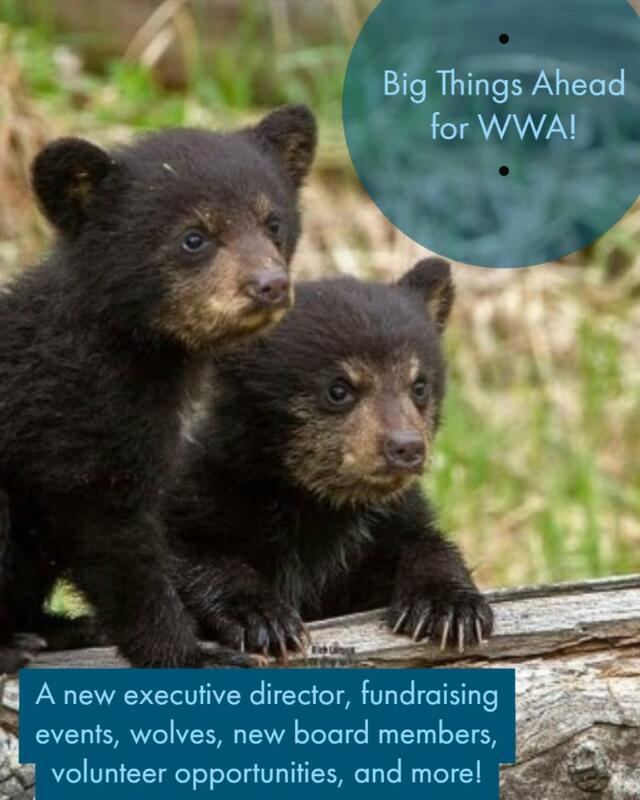 Lynne Wagner and Jack Bayles joined the WWA board in March. Lynne has is a long time valley resident and brings a wealth of financial knowledge and community connections. 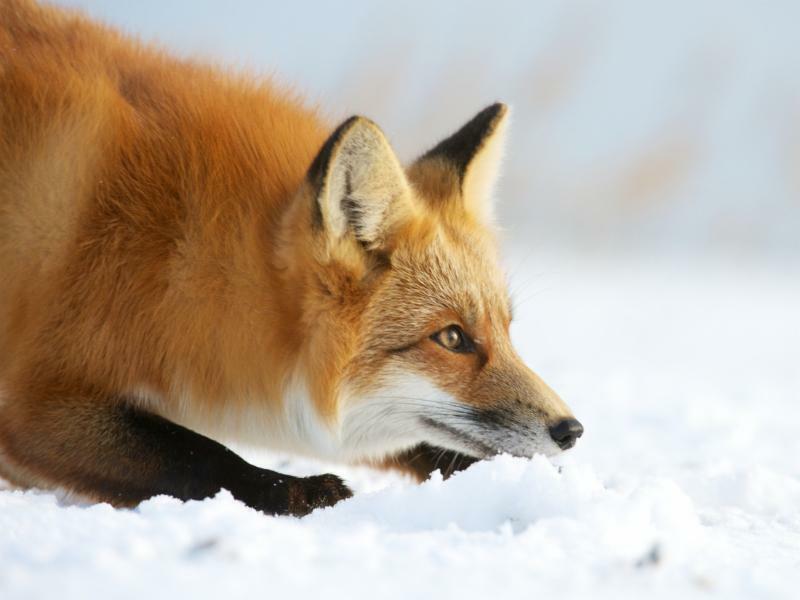 Jack is a photography guide and loves to share the wonder of Yellowstone and Grand Teton wildlife with the world. Both are super passionate about wildlife and committed to our mission to protect all Wyoming wildlife. We look forward to having them both involved and helping to move our mission forward! 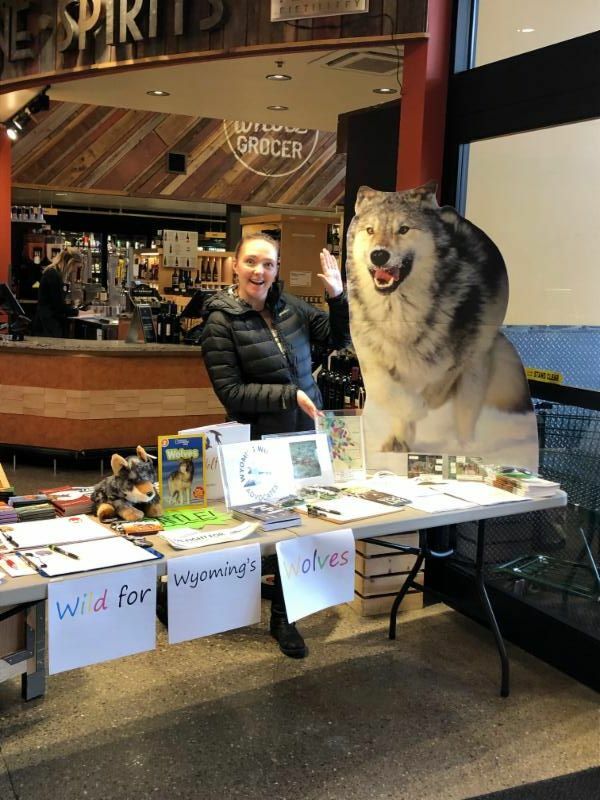 WWA along with the Center for Biological Diversity were graciously hosted by the Jackson Whole Grocer on March 5 to promote the value of wolves to Wyoming. Individuals had a chance to learn more about Wyoming's wolves, write a comment to the Wyoming Game and Fish Commission, sign a petition to keep wolves protected by the Endangered Species Act, and talk with WWA staff. Thanks to all who stopped by. Stay tuned for more events like this. In honor of Melissa's new little one, we are highlighting a wonderful book by Jean Craighead George. The Wolves are Back is a delightful story that teaches a new generation to appreciate the grace, dignity, and value of wolves as it promotes awareness of the environment’s delicate balance. 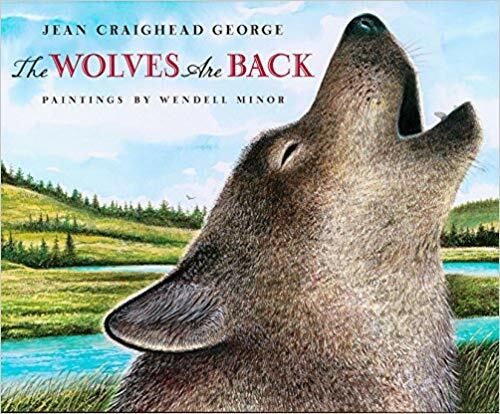 Paired with gorgeous paintings by landscape artist Wendell Minor, this engaging text will inspire people of all ages to care about the protection of endangered species. Visit your local bookstore, or order a copy here. We could't do any of our valuable work without you.